The Centre today told the Supreme Court that Election Commissioners cannot be on par with Chief Election Commissioners vis-à-vis removal process and rejected a demand for same rules. A lengthy and a layered procedure — impeachment- similar to that for a Supreme Court judge has been laid out for the removal of the CEC while ECs can be removed by the President on the recommendation of the CEC. A PIL by Supreme Court advocate and Delhi BJP leader Ashwini Upadhyaya had questioned it. “Since its establishment, the ECI is functioning smoothly in a free and fair manner, and no material has been placed on record to justify the proposed Constitutional and statutory amendments sought in the Petition”, the ASG said. “It is respectfully reiterated that making legislation on any subject is the prerogative of the Legislature based on overall requirement. The aforesaid prayers are purely a policy matter and the same are within the exclusive domain of the Legislature”, said Anand. After hearing the ASG, the bench fixed the PIL for final disposal after four weeks. The Supreme Court had on February 19 sought the stand of the Centre on a PIL which sought complete autonomy and more independence for the Election Commission and altering the rules of removal of Election Commissioners. At the outset of the hearing on February 19 the AG said "This is a PIL asking for Autonomy for election commission and on the removal of ECs.I have certain difference of opinion so the Center's stand may be sought first"
The bench had also allowed the election commission plea for permission to place some documents on record. On April 12 the Election Commission through an affidavit told the Supreme Court that it has been sending the proposal to the Centre for amendments to this effect since 1998 and seeking that the rule-making power, which as present rests with the Centre, be given to it. The PIL has been filed by advocate and Delhi BJP leader Ashwini Kumar Upadhyay seeking direction to the Centre to “take appropriate steps to confer rulemaking authority on the Election Commission of India on the lines of the rulemaking authority vested in the Supreme Supreme Court of India to empower it to make election-related rules and code of conduct”. "Conferring the rulemaking power to the ECI is not only necessary to insulate it from Executive/Political pressure but also essential to ensure a free and fair election in the spirit of Article 324 of the Constitution of India," the petition reads. Upadhyay also prayed for direction to the Centre to provide the independent secretariat to the Election Commission of India and declare its expenditure as charged on the consolidated fund of India on the lines of the Lok Sabha/Rajya Sabha Secretariat. 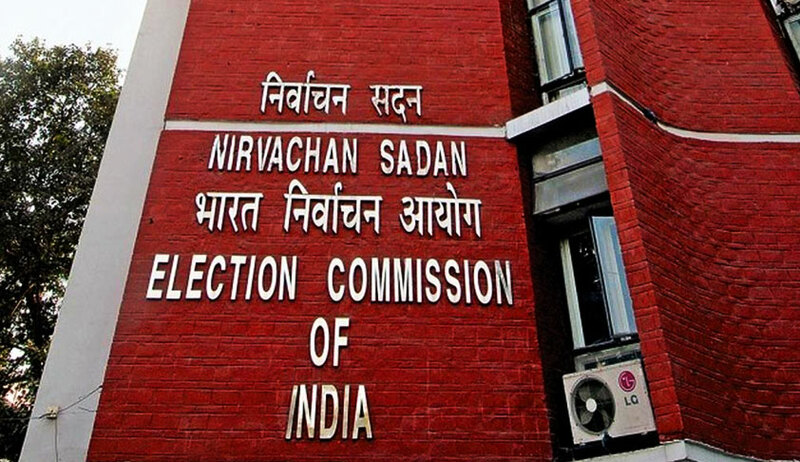 “ECI cannot function independently until the CEC & ECs are protected similarly, its expenditure is charged as consolidated fund and has independent secretariat and rule-making authority”, the petition said adding that various Committees and Commissions including the Goswami Committee, Election Commission and Law Commission (in 255th Report) have suggested in this regard but the Executive has not implemented those recommendations till date.